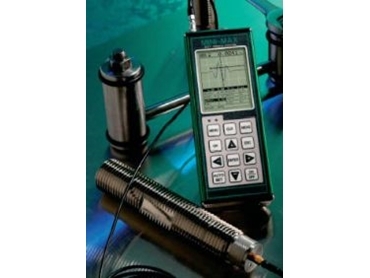 The Mini-Max Ultrasonic Bolt Tension Monitoring System. BOLTSTRESS Ultrasonics has developed a high specialised business providing solutions to problematic bolted joints by using Ultrasonic Technology. Technical director Trevor Robinson has been involved in the evolution of the ultrasonic bolt tension measurement technology since joining Hydratight Pilgrim in June 1991. The insight gained having measured many thousands of bolts and the work completed together with input from experts from allied fields is unique. Already the major resources companies in Australia are rapidly adopting the technology. Overseas businesses in Dubai, Africa and Singapore are also taking advantage of the products and services offered. Boltstress Ultrasonics offers supply of the Mini-Max Ultrasonic Bolt Tension Monitoring System and/or consultative on and off site services. b) Regular re-monitoring of load to analyse joint performance. e)Bolt tension is even around the flange.